We all know that Cherry Mobile phones is one of the known local brand in Philippines as it offers very affordable price on their products, here's a proof by just looking at Android phones and Tablets Price List. They do have mobile phones running on Android Gingerbread to Jellybean, from basic smart phone to quad core equipped processor device. Some users are satisfied and some are having trouble with on basic settings of their phone, like for example Wi-Fi connection problem. If you're sick of troubleshooting the connectivity on your Cherry Mobile phone and still you are not able to connect to the internet even you’re connected through Wi-Fi then this post may help you in a little way. In this tip where focusing on Cherry Mobile Gingerbread OS phones like Snap, Jade, Charm, Bubble, Spark TV, Sapphire and more. This is no just for this brand but also for other phone running on same Android OS like MyPhone, Cloudfone, Torque, SKK and other local and known brands. The symptoms of this problem is basically the Wi-Fi connectivty, you cannot browse using your default browser even if your connected to your Wi-Fi network or hotspot but you can connect to internet using third party browser like Opera Mini. Sounds weird, right? You don't even know what is the cause of the problem if you’re just a normal phone user. Actually, the problem is just on your WLAN settings, maybe you accidentally tab an option and don't know what is that all about or how is that related to Wi-FI connectivity. I know you know all of us know this drill already, but for the purpose of troubleshooting your browser connectivity via Wi-Fi we need to do it step by step again. Go through the steps below. Go to Menu > Settings > Wireless & networks> tap on WLAN to turn on. Once connected and still you cannot browse to the internet using default browser. Below is the solution that you looking for. Go to Menu, click on Settings then Wireless & networks. In Wireless and networks settings, tap on WLAN settings. Go to Advanced, scroll down to Proxy settings then uncheck 'Use Proxy'. Go to your default Android browser, try browsing! If you have any other problem with your Wi-Fi or mobile network connectivity on your Anroid phone, feel free to post it below for us and others may help you. i can't access internet still in my phone even though we have excellent wifi connection. what to do? I am using my cherry sonic 2.0 phone. please help. i cant still access internet in my phone though i have excellent wifi connection. what to do? i am using cherry sonic 2.0. please help. i use cherry SNAP.. how can i use the free data on my phone?? while using the smart simcard with their promo that says free data __mb?? Still not working on my daughter's phone. I tried the said steps but it is still not working on my daughter's Cherry Mobile Snap phone. i can access to internet but even i connected to my wifi.. my phone is w8i. what should i do? my cherry mobile bubble is slow to detect or accuire wifi even wifi connection is strong..
Marami masyadong complains about cherry mobile phone and it seems no solutions. Very very poor product. How can we patronized such. My CM SNAP is connected to wifi but my default browser can't load anything. help me please? I am having problem with my wi fi connection using CM SNAP, please HELP! I have a CHERRY MOBILE SPARK, though I already tried to connect it to a network, it will only state: Remembered, secured with WPA/WPA2 PSK. The WLAN will start to scan but then be disconnected without even a sec. I've tried to connect it again but nothing happened. please do share something if you had a solution on this problem...thanks,..
Any possible solutions? i saw a lot of issues which is exactly the same as mine... Does this mean that the problem is actually on the phone itself and not on its settings? mataas yung wifi ko. my snap is reading the signal but after entering the pw, the CONNECT button is just greyed out. help! Ganyan din po yung akin. Cherr Mobile Amethyst. Can anyone help us? Pls. i have cherry mobile onyx. I'm already connected to the internet but it won't work like no signal. I tried your advise above but it still didn't work. please help me. thanks! naka connect kana ba ? I have a Superion Radar Cherry Mobile tablet. 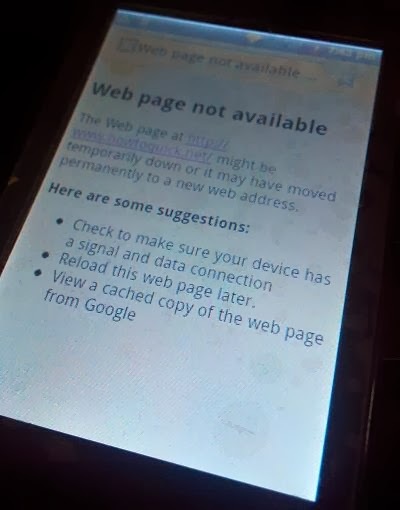 We have an excellent wifi connection in our home but my tablet can't access to some social networks such as facebook, google, twitter and also the app store but can open to other sites to google chrome. What troubleshoot has happened to my tablet? im doing it again and again but still disconnecting! Hello po.. Gudevening. Ask ko lng po bakit sa tuwing nag oopen aq ng PLAYSTORE ung lumalabas PLAYSTORE STOPPED tapos pg nag dodownload po aq hindi aq mka download and last po sobrang hina ng cgnal khit nka open na ung 3g sa mobile data q po. Pls i need an answer. ASAP. tnx po. My cherry mobile SNAP wont connect to wifi .. i only says " Remembered " ... my wifi password is correct and location is good , but it wont connect . .. please help.